A narrow, columnar plant with lustrous, dark green foliage. Tolerant of shade and drought once established. Plant in full sun to part shade in an average well-drained soil. 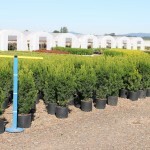 Should be pruned in early summer to maintain desired size. 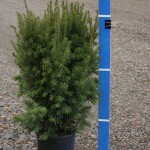 It makes an excellent hedge, screen or use as an accent in the landscape.